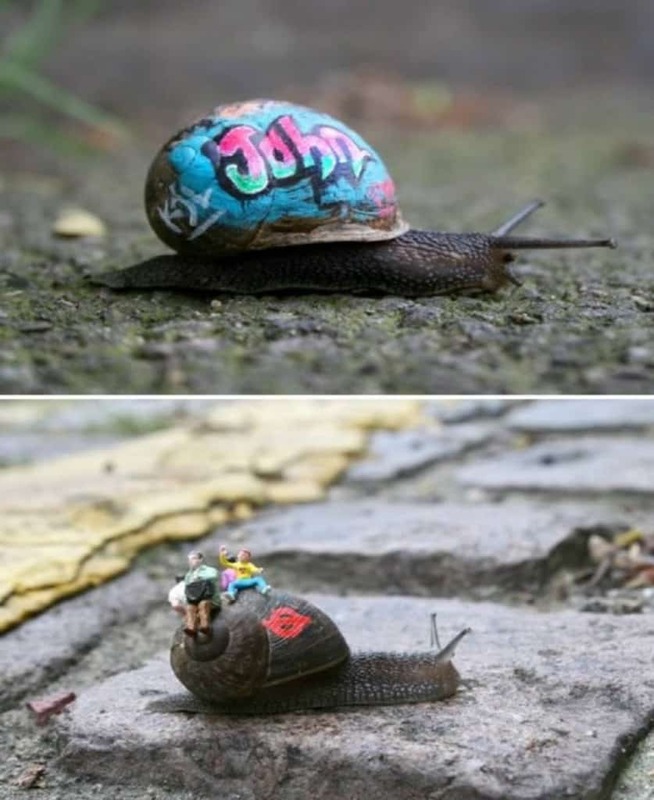 Seeing snails travel slowly across the streets of London with graffiti on their back has now become a common sight thanks to artist Slinkachu. The Aspen Art Museum tried to execute a highly controversial work on art for which they received a lot of bad publicity even before the museum opened. 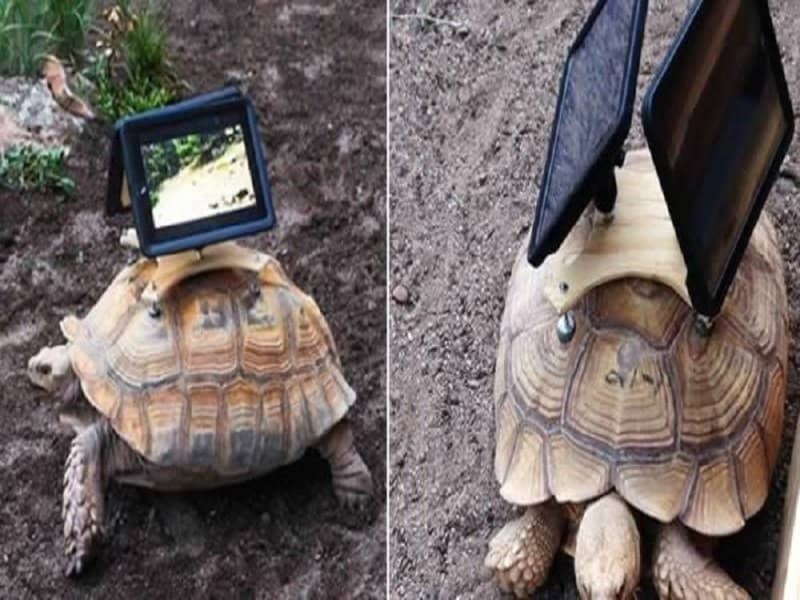 The attached two i-Pad screens on top of Sulcata tortoises and played video footage of nearby ghost towns on the gadgets. The museum claimed that they were trying to “cultivate a site-specific approach to culture and history”, whatever that means! This is one of artist Banksy’s first art pieces. 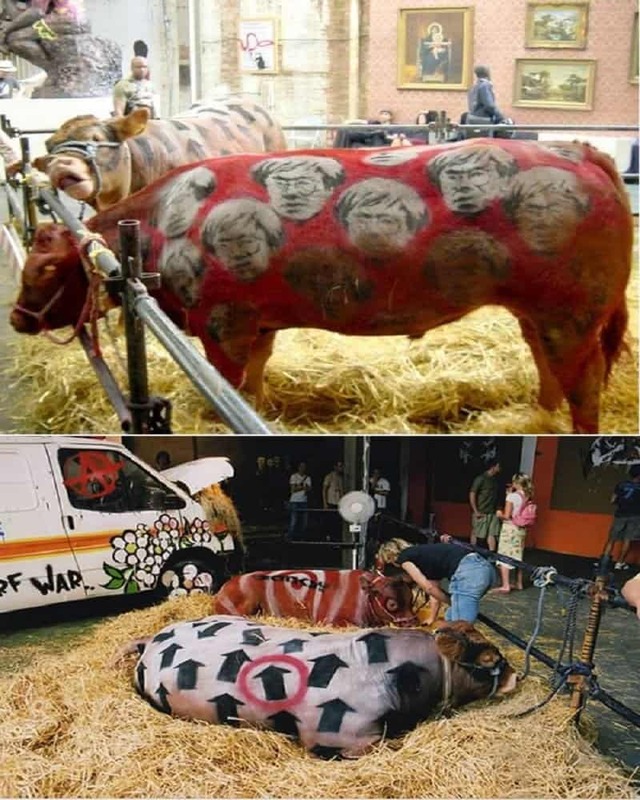 He opened an exhibition in a London warehouse called “Turf War” in July 2003 where he painted many live cows with art, including Andy Warhol’s work. This insane trend has been developing recently in Russia. 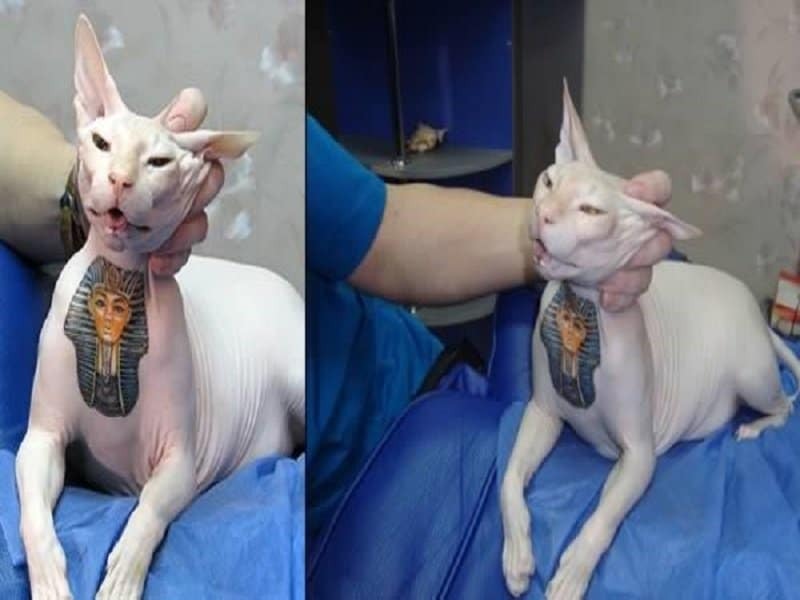 Cat owners have been seen tattooing their pets with elaborate and intensive images as a new form of self-expression. This trend has been solely credited to one artist from Belgium called Wim Delvoye. 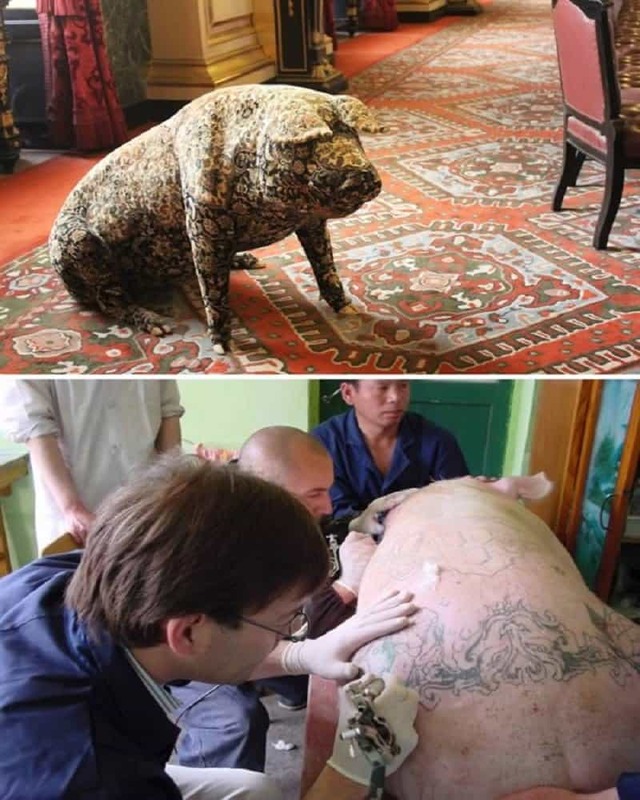 He considers himself an artist and “provocateur”, and uses pigs as a canvas to create some elaborate tattoos. 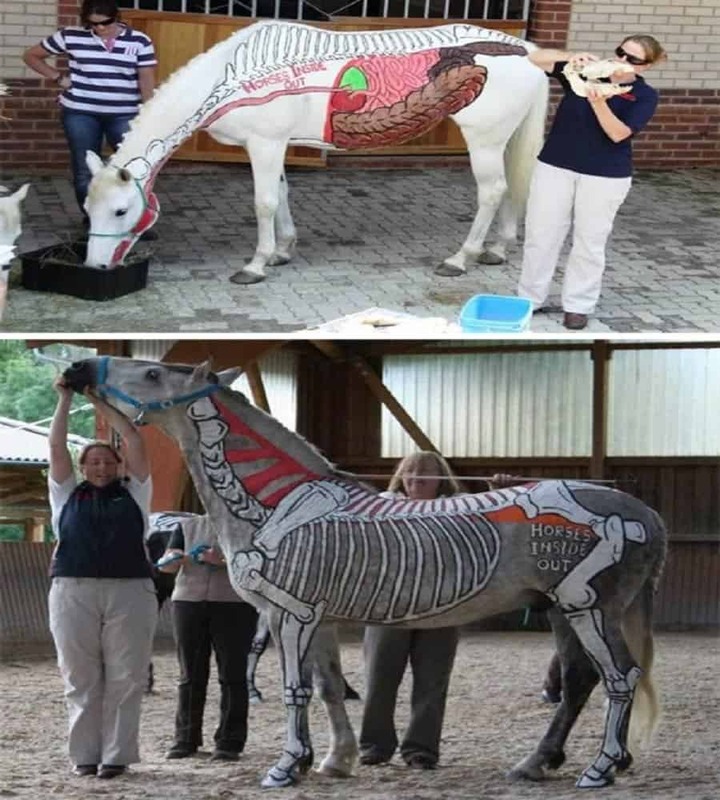 This art form is called “creative grooming”. 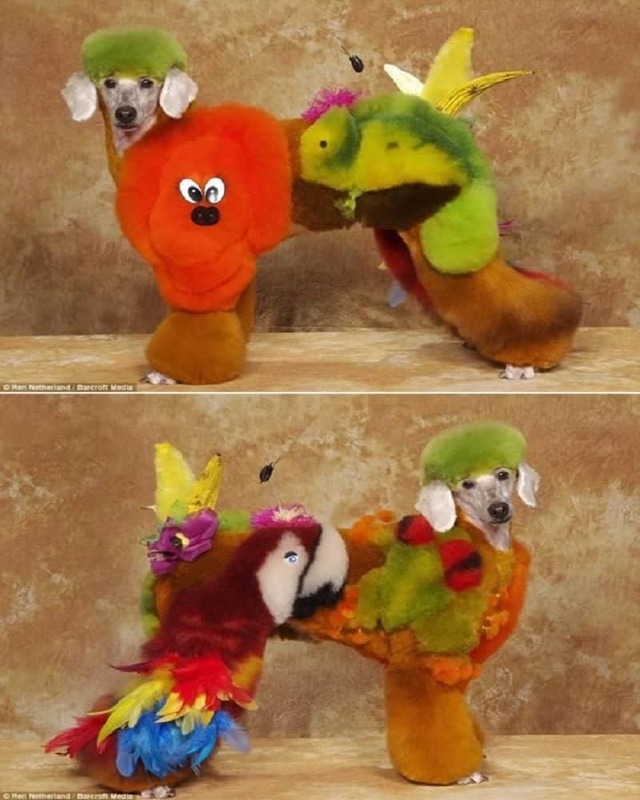 Pet owners use poodles and other furry dogs to create some bizarre and eye-pooping works of art, by cutting and dyeing their dogs in different ways. 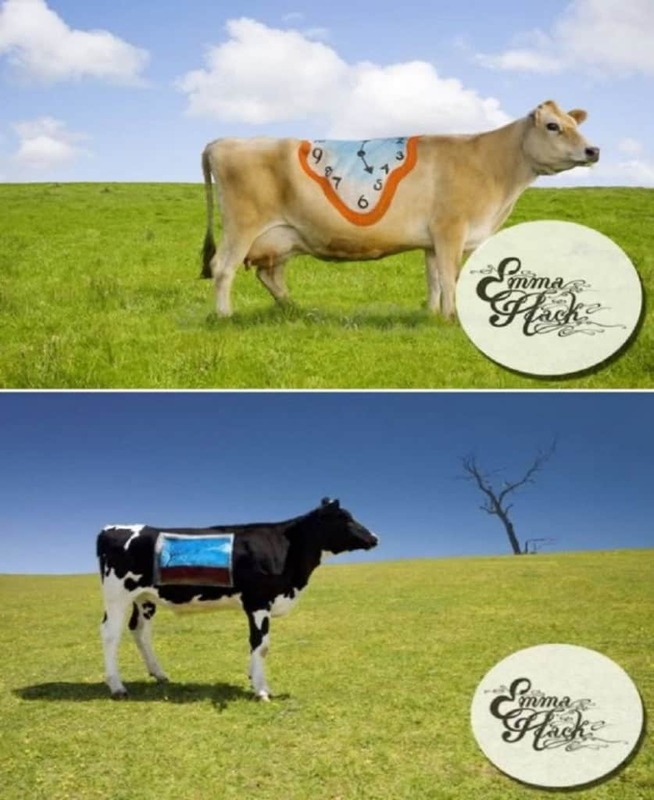 Artist Emma Hack from Southern Australia decided to create a unique photo series that relies on using cows as a medium to craft optical illusions. The artist loved the fact that the cows are always moving from one place to another, thereby carrying the work of art with them. She painted many things on the cows including images of birds, and the famous melting clock created by Salvador Dali. 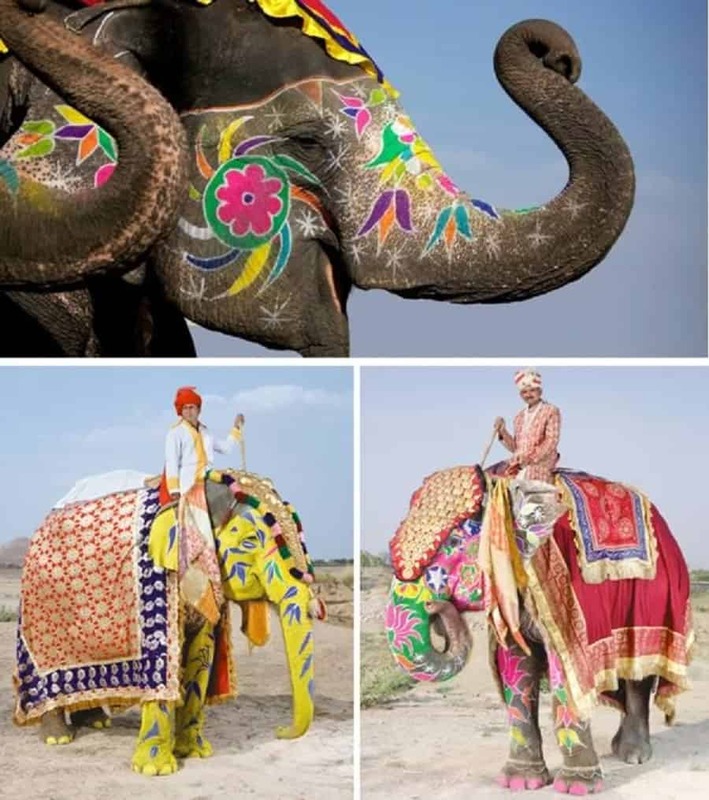 Every year, the Indian state of Rajasthan organizes a festival in the month of January, where camel owners are encouraged to decorate the beasts. 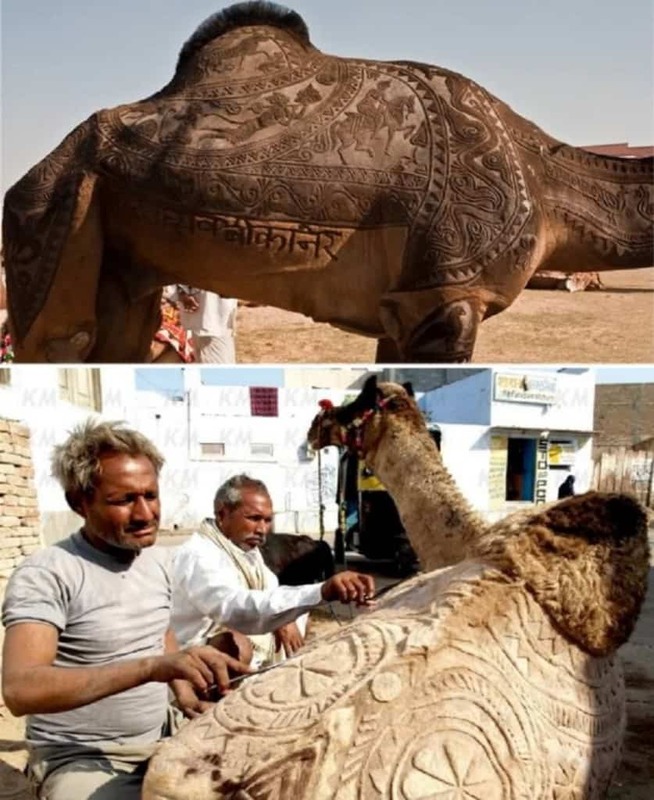 They do this not by painting the camels, but instead by shaving off their fur in innovative ways using a a pair of scissors.